If you are looking for complete precision in your metal job, laser cutting is the answer. 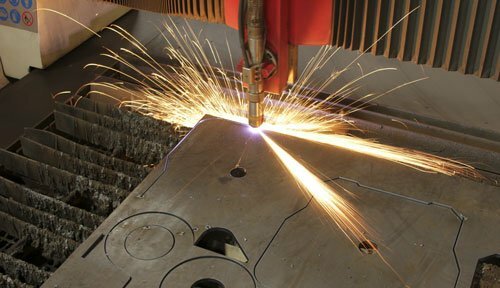 At Metal Fab Products Inc., we take pride in our laser cutting capabilities. We offer capacity, speed, and accuracy that few other local companies in Midland, TX and Odessa, TX can match. The reason for this is that at Metal Fab Products Inc., customer needs come first. We understand that your bottom line is riding on being able to get the supplies and equipment you need in a timely manner. You can trust everyone at our organization to make sure that your order is fulfilled accurately and just in time for when you’ll need it. There are several factors that make using Metal Fab Products Inc. for your laser cutting needs a smart move. One is that we are the only local business that has a fully robotic laser system that can work through the night. This means we can be working on your order even when our employees are at home with their families. Because of this 24/7 capability, we are able to handle large orders with ease. We offer special pricing and discounts on these big-quantity runs. Be sure to ask for details when you call to order. We look forward to meeting with you and learning more about how we can fulfill your laser cutting needs. Learn more about what we can do, get a free estimate, and start your order when you contact us today.